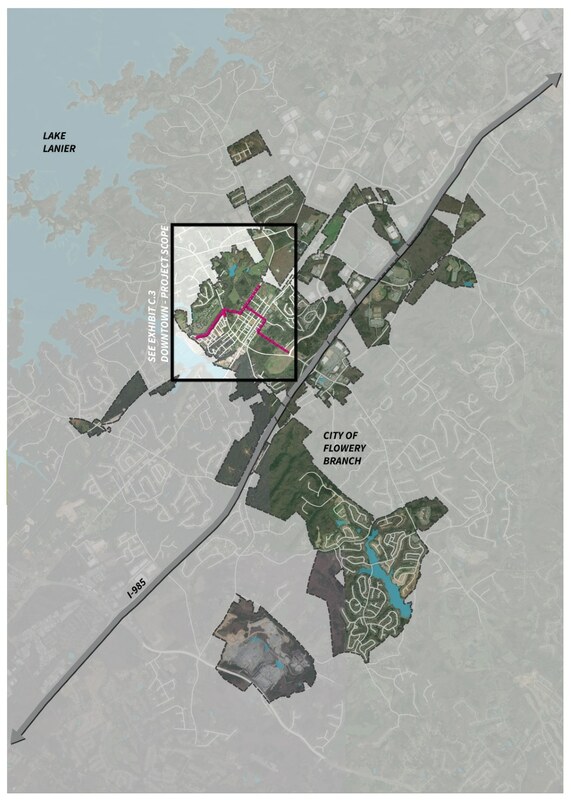 In 2017, TSW was retained by the City of Flowery Branch to fulfill on-call planning services, including site development reviews, architectural reviews, and site design drawings that reflect the City’s long-term goals. 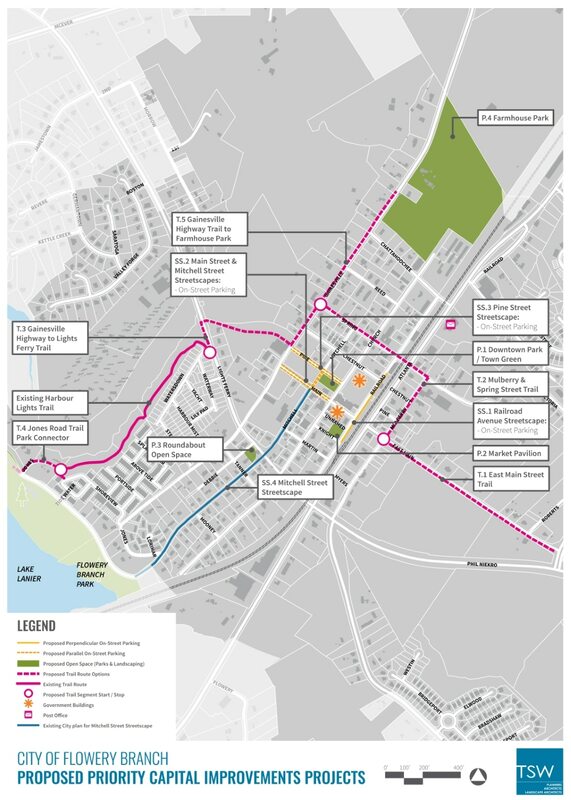 Streetscape projects on Mitchell Street, Pine Street, and Railroad Avenue. 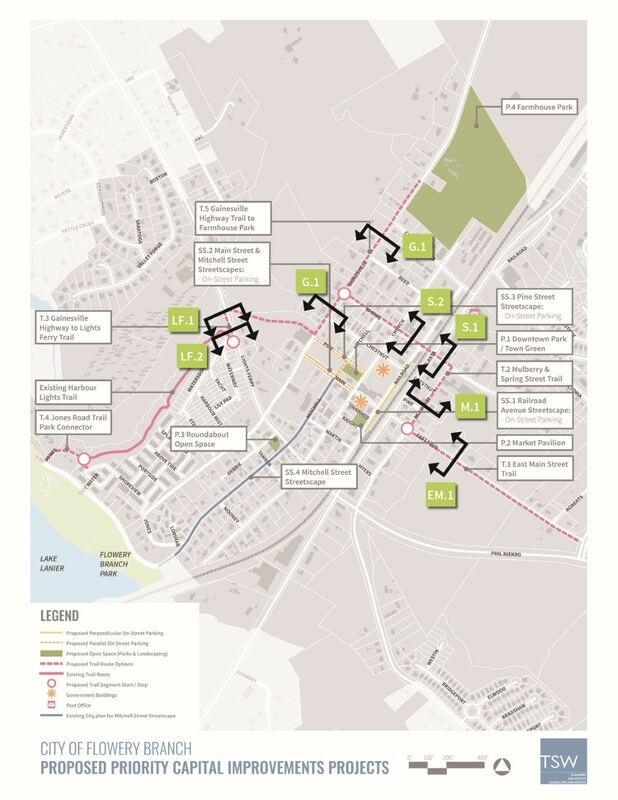 Currently, TSW is assisting the City to acquire funding for trail projects through GDOT’s Transportation Alternatives Program, a program that funds “non-traditional” transportation projects, like pedestrian facilities, bicycle facilities, and streetscaping projects. 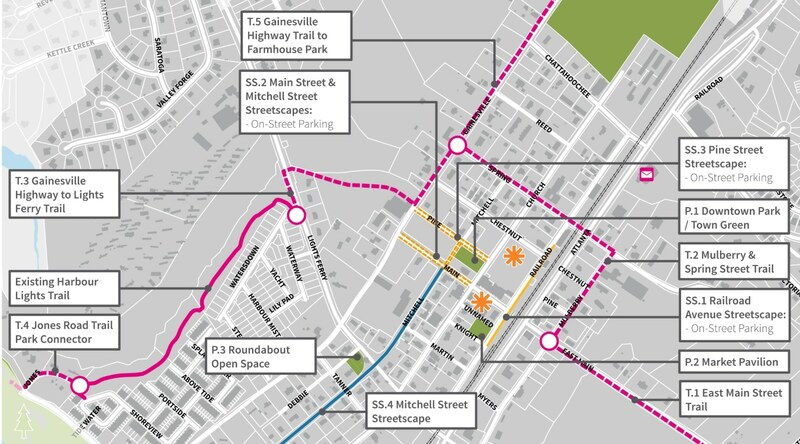 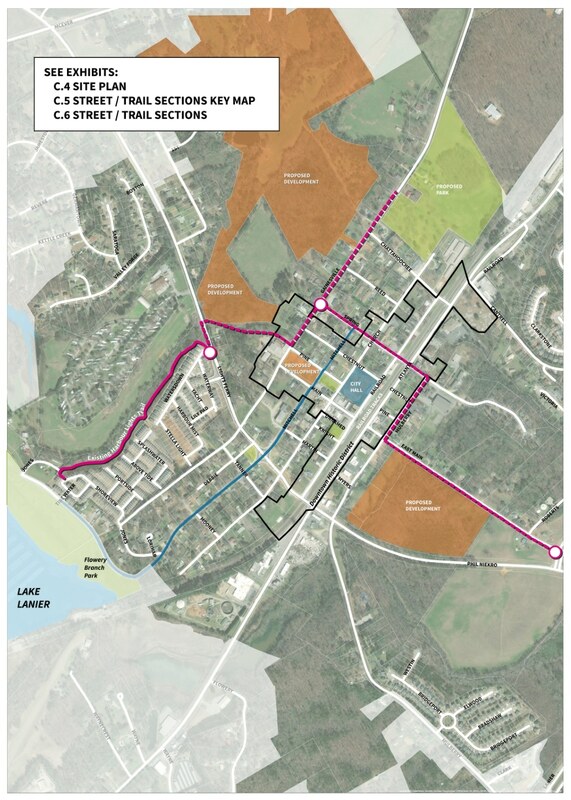 If GDOT awards the City with funding, they will receive around $2.7 million to implement a trail network and connections in and around the downtown area.